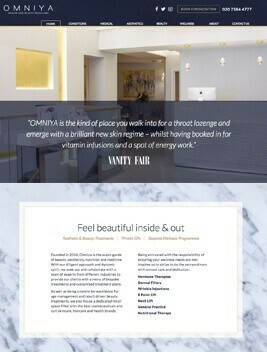 The launch of the all-new ‘Omniya’ website marks a new chapter for our clinic. Don’t worry, we’re staying true to the ethos our clients know and trust and we are as committed as ever to helping clients feel confident in themselves. We will continue to provide an environment where the emphasis is on your comfort and wellbeing. The new website gives us a fantastic tool to showcase all of our treatments, team and clinic, and to better communicate with prospective and existing clients. We hope you like our new website. Why not contact us and let us know what you think?